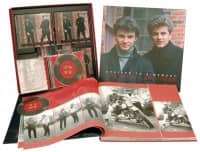 (Del Ray Records) 12 Tracks - New edition of the original Cadence album from 1959 on 180g vinyl! One of the greatest singing brother duos of all time. The Everly Brothers' close harmonies became one of the most identifiable sounds of the late 1950s and early 19605. 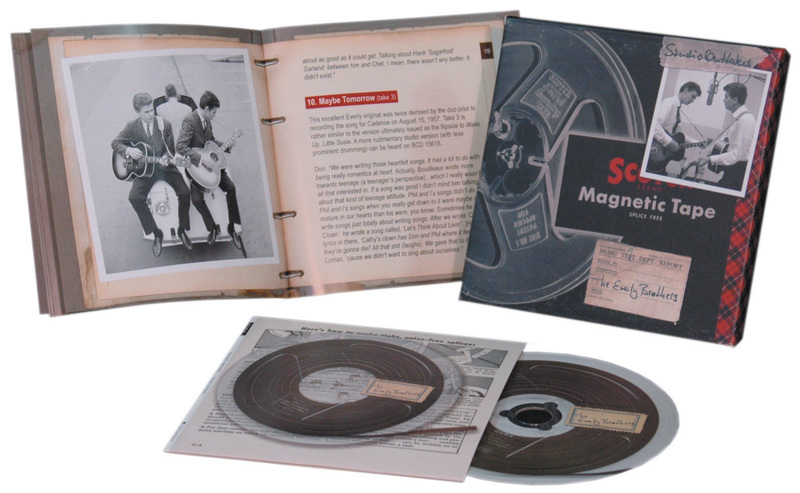 They set unmatched standards for close harmony, and infused rock & roll with some of the best elements of country. 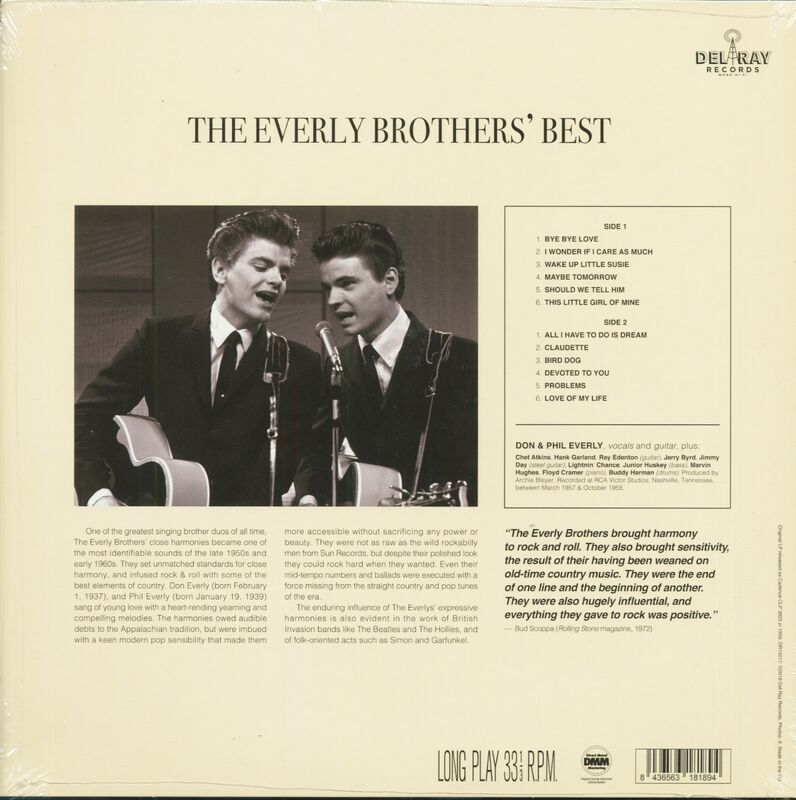 Don Everly (born February 1, 1937), and Phil Everly (born January 19. 1939) sang of young love with a heart-rending yearning and compelling melodies. The harmonies owed audible debts to the Appalachian tradition, but were imbued with a keen modern pop sensibility that made them more accessible without sacrificing any power or beauty. 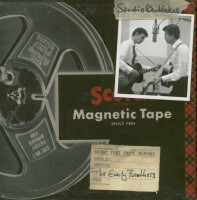 They were not as raw as the wild rockabilly men from Sun Records, but despite their polished look they could rock hard when they wanted. Even their mid-tempo numbers and ballads were executed with a force missing from the straight country and pop tunes of the era. The enduring influence of The Everlys' expressive harmonies is also evident in the work of British Invasion bands like The Beatles and The Hollies, and of folk-oriented acts such as Simon and Garfunkel. 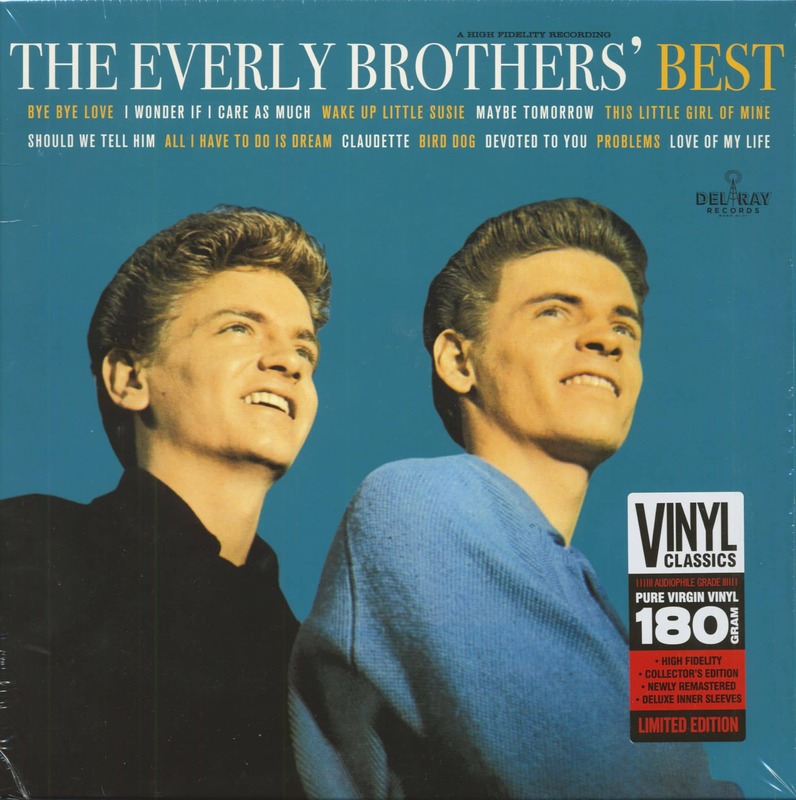 Customer evaluation for "The Everly Brothers' Best (LP, 180g Vinyl, Ltd.)"